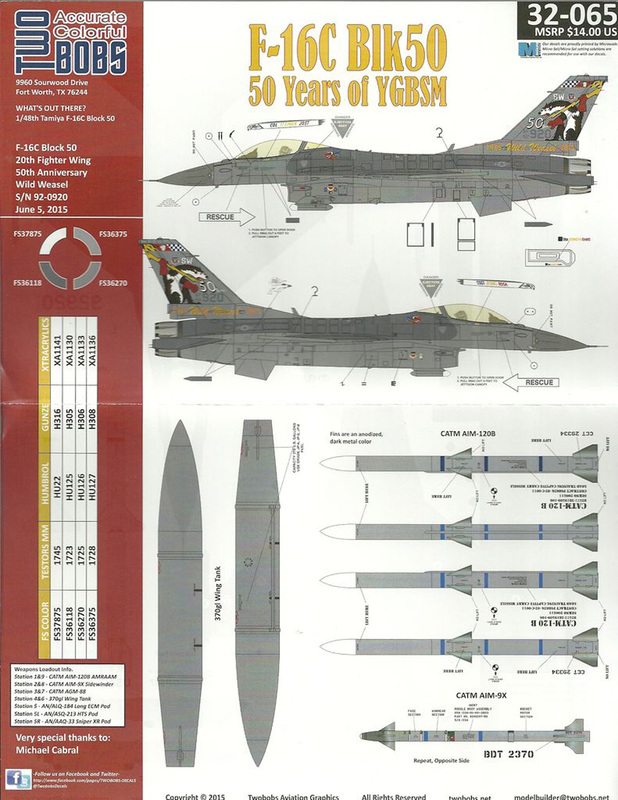 Two Bobs has released a decal sheet covering an anniversary scheme for the "Wild Weasel" squadrons, currently flying F-16s. The markings include a very prominent weasel carrying a lightning bolt in the rudder. The instruction sheet (printed in full color) includes color call-outs in: FS standard, Testors, Humbrol, Gunze and Xtracrylics. This makes finding the right paint color a breeze. 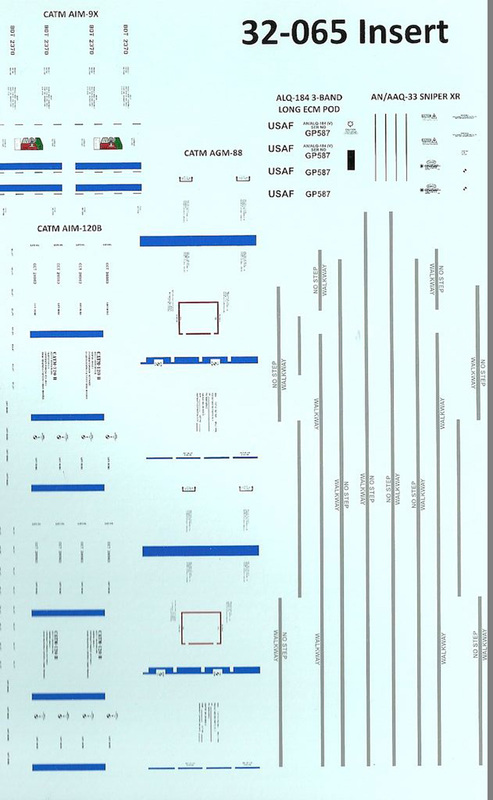 A word of caution which hopefully will minimize confusion: the instruction sheet lists a 1/48th Tamiya for this decal set. That is a typo. The size of the decals is clearly for a 1/32nd scale model. Highly recommended. You will have an astonishing looking Wild Weasel F-16C. 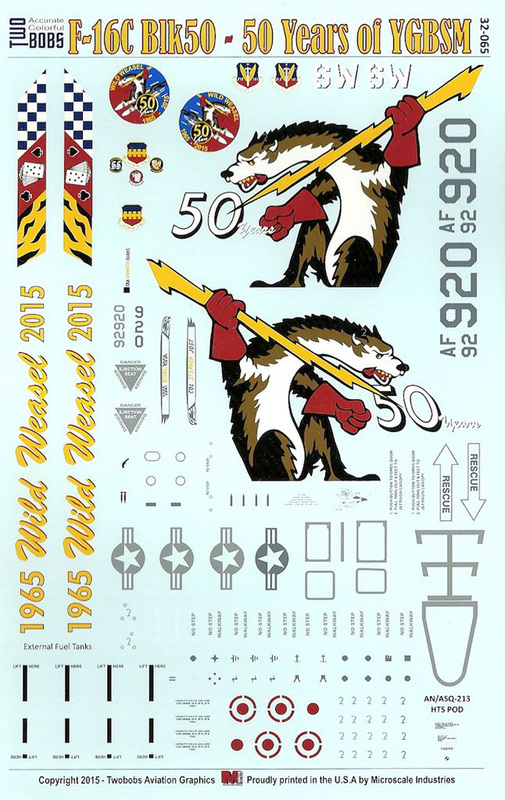 I would like to thank Two Bobs decals and IPMS/USA for the review sample.